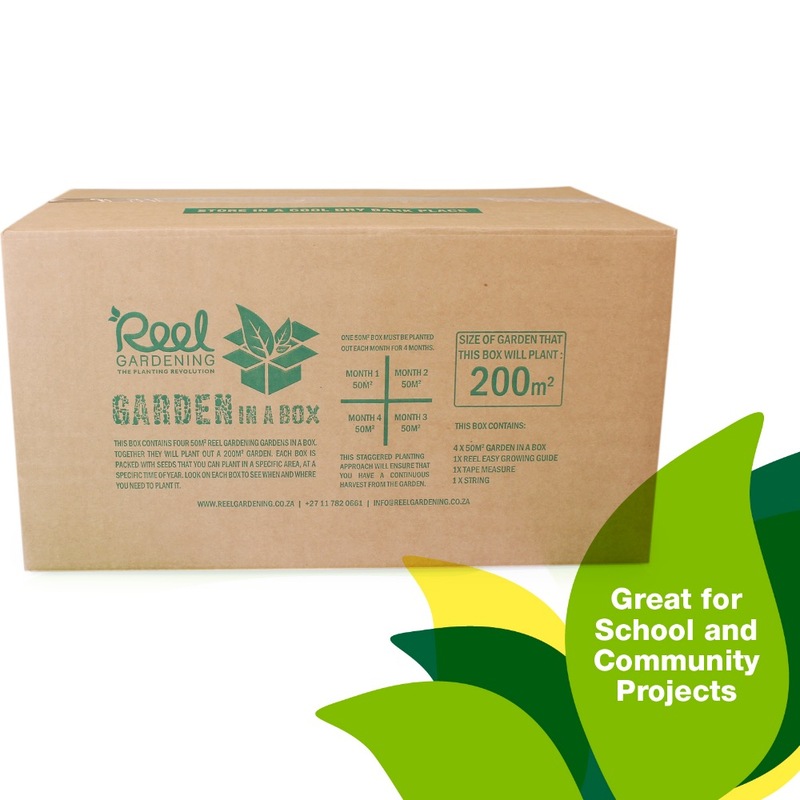 The Garden In a Box is a unique, patented, modular solution which is ideal for community development projects and larger gardens. 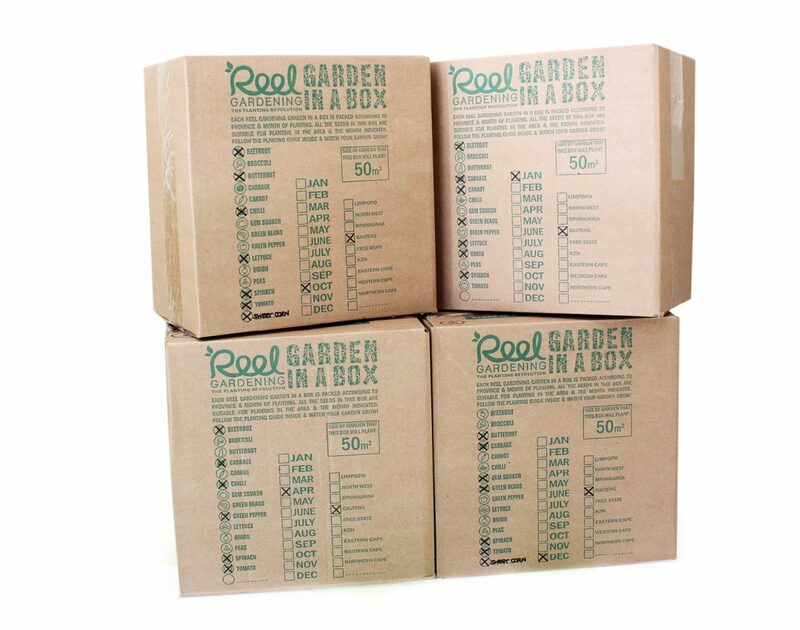 Each Garden in a Box layout is designed according to province and month of planting. The layout is illustrated by an easy to follow ‘paint by numbers’ format which enables children to get involved. The 200m² Garden in a Box contains four 50m² Gardens. These gardens are designed to be planted out once a month for four consecutive months, thus staggering planting and creating a sustainable harvest from the garden. 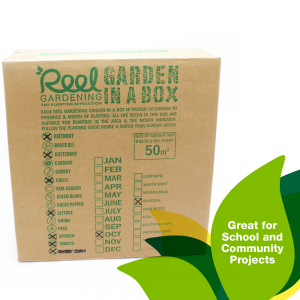 Each 200m² Garden in a Box contains seed tape to plant out 200m² , an easy to follow planting diagram for each 50m² box, a tape measure, string and a Reel Easy Guide to Growing. The garden will be able to supplement up to 25 meals per a day sustainably. 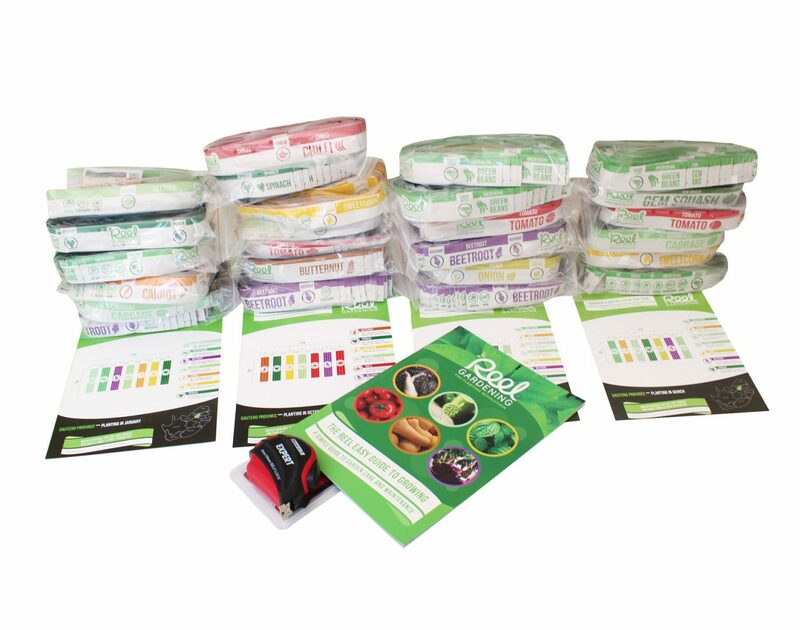 We partner with Reel Life to provide the complete solution for communities’ sustainable nutrition needs.